Some say I may be having a mid-life crisis. But I haven’t even hit mid-life yet! I am a Philly Girl at heart, by way of West Chester, PA. My dream is to see the world by living it and experiencing it. I want to bring the world closer by sharing my experiences of life, love, religion, food, music, and everything that makes us one. After marry my Turkish beau, I suggested we move to Ankara. I quit my day job as a lawyer and now here we are in Ankara, Turkey! Although I find it difficult to find work in Turkey, I spend my days productively: learning the language; touring Ankara and the country; trying out new Turkish recipes; and meeting new people; and making memories. You go gurl! I am absolutely amazed at all the information you have amassed in such a short period of time. The pic’s are great! Lets get that Pentax working, if you can without it bringing unnecessary attention to ones self. You know I’ve been waiting for this from you. You are truly a inspirational credit to your family and friends. I can see now I’ll be waiting with baited breath for your next blog. Jeez, I’m so jealous…LOL. Are you going to share more old architect in the near future? Oh, and you know I’m subscribing! I don’t want to miss out on anything. Hi TERRY! Andi and I are sitting here looking at your site. Andi says hi and we are cracking up at you with the camel. hı terry..ı’m the owner of cucina makkarna rest. ın gaziosmanpaşa ..ıt ıs a good thing that you write about the places that you visit..and fotos..ı had 4 blogers from turkey 2 weeks ago and ı respect the time and affort that they put on this pages..please contact me 4368088 and lets see what we can do.. I looked at your website and your menu looks delicious! I would love to visit and write a review! Hello Kaan! The menu on your website looks delicious! I would love to visit. HI Viviana! Welcome to Ankara! Thanks for following the blog. I am a bit busy at the moment, but let’s try to catch up soon! I am also an American/Turkish bride. I am originally from New Mexico/Texas, but currently live in Arizona with my Turkish husband. We were married last summer in Ankara. We also just returned from Turkey a couple of days ago. We visit Turkey every year to catch up with friends & family. Anywho, I totally understand the language challenge, I have been attempting to learn Turkish, myself. I have 2 Turkish lessons/series that have been very helpful. One is from Pimsleur and the 2nd is from the Turkish govt. which also includes a booklet. I would be more than happy to share these with you by email, if you are interested? Good Luck on your adventure :*)! or you can link through the sidebar at the blog. your blogs are wonderful. thanks for sharing your life experiences via words and pictures. and congrats to your man on his marathon accomplishment. Love the blog! Keep sharing. Welcome to Ankara Kim! Please let me know if you need any other information! My name is Kristen and I work on a popular American TV show about people who have recently relocated abroad. For our upcoming season, we are hoping to find people who have relocated to Turkey. In my research, I came across your blog and am reaching out to you in hopes you might be able to help me find participants for our show. House Hunters International tells the story of an individual, couple or family who has bought property outside of their native country. Being on our show is a lot of fun for our participants and a great way for them to document their exciting search for a home and new life abroad. It’s also a very positive show which offers a wonderful opportunity to inform our viewers about interesting countries and cultures worldwide. We’re currently looking to cast people who have recently relocated and have bought or are currently looking for a home abroad. If you fit this qualification or know anyone who does, I would love to tell you more about the project. You can contact me at househunterscasting@leopardfilms.com. Welcome to Ankara Reyhan!! Wish you all the best! Really good blog, I’m enjoying your stuff. Good luck with your life in Turkey, I’ve lived here in my quiet backwater for 14 years and loving it – warts and all! Thanks Alan! I love getting new readers. I will check out your blog and I can add it to the list on my blog if you want more readers. Warts? I thought the doctors here were good at removing those! 🙂 Oh, maybe that’s moles! Thanks Sierra! It’s not always easy! Good luck to you and I will check out your blog. Please keep reading. I was on vacation so I didn’t post as much recently. Oh cool! Well I can’t wait to see more! And if you want to see my blog it lives at expatsierra.tumblr.com. 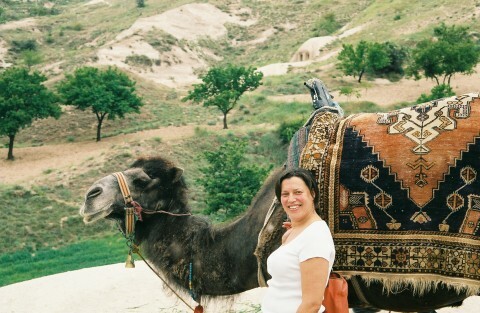 We were in Ankara for four years and are now in Cappadocia. Your blog is great. I am trying to contact you but can’t find a contact form or email on your blog. I’m probably just not able to see what is right in front of me. Can you write me. I want to invite you to join a few other Turkey bloggers on a blog improvement project in 2012. Merhaba Terry! I’ll be looking for your new posts from now on. Thanks Joy! And Happy New Year to you too! Hi Victoria! I truly appreciate your becoming a reader of my blog. Thanks for the support! – does anyone know of a summer camp (or summer courses) for kids? Ideally, we would love to find something for our kids to do involving sports, the arts, etc while we are working. – we would love to hire someone during our stay to help us with cooking and cleaning. Perhaps there is an ex-pat family going abroad for the summer that might have someone helping them who is looking for additional work in June and July. We will likely be at Bilkent from the 2nd week of June until the end of July. Hi Michael, Thanks for reading the blog. Good questions. I will email a reply to you shortly. Best of luck! Michael, Bilkent university has summer a summer sports school for the children of staff (and perhaps outsiders). Some of the counsellors speak English. The details have not been sent out yet, but I was very pleased with my son’s experience last year. I suggest you try to get registration information from the university a couple weeks before you arrive but should be fine if you drop by for information at one of the sports centers once you have arrived. Thanks for sharing and my apologies for adding your comment so late. I just moved to Ankara and would stay here for two yrs. very helpful blog and i am willing to read more valuable info from it. Thank you and welcome to Ankara. You might want to peruse some of my links. There is a page of information for people living in Ankara. Best. Thanks, Terry. I have one question. Are there any social activities for an English/Chinese-speaking, atheist expat, to join? It seems to me there is only a small and scatted expat community in Ankara but I expect to meet more expats here. Hello and thanks for reading my blog! There is actually a large expat group here. I am not sure about Chinese or atheist activities, but if you send me an email as a reminder, I will put you in touch with some expat groups. info.adventuresinankara@gmail.com. Thank you Terri! I agree with you, I have been to Toni&Guy and for turkey standards it is very pricey (I paid 90TL!) Altough I like to pay more if it’s worth it but I clearly wasn’t impressed with the cut. I also think they like go up with the price with foreigners. Thanks so much and a private email will be send shortly. Moved to Ankara about 6 months ago from Boston. I always find your posts really helpful 🙂 thanks! Thanks Erin and thanks for reading the blog! Hi Terry, I just found your blog. I enjoyed very much. Lots of good information even for me. I am Turkish but living in United States since 18. I visit Ankara 2-3 times a year to visit my sister. Hi Zeyneb and thanks for reading my blog! I hope all is well!